When I look to the US stock market for clues about how a socially mature market should behave, you should worry. You should worry about just how immature the crypto market still is, and what it's going to take to move us to the next level; mainstream investors understand that companies compete for investment dollars - it's common sense. When one IPO is done on Wall Street, very often the timing of others are adjusted so that the attention - and wallets - of investors is not completely split. What you don't see is entire camps of Apple stock owners creating fake accounts on a Google fan forum just for purposes of spreading outright lies and fabrication about Apple's competitor. They are adults about it. Even stock day traders wouldn't try to create "FUD" ("Fear, uncertainty and doubt") by starting a rumor about the death of a major executive at a company; but that's precisely what happened when the rumor of Vitalik Buterin's death was started on one of 4chan's forums in late June of 2017. While the Ethereum example was a hoax meant to crash the price per unit of Ethereum, it's an example of just how volatile and reactionary the crypto market still is, and to what lengths crypto investors will go to manipulate this young market. When it was launched in 2012, Ripple was the only crypto-currency backed by a US company. In that regard, it was a unique twist on the young innovation; Bitcoin itself was only three years old at that point. To promote their new crypto-currency to enthusiasts, Ripple engaged in marketing attempts on traditionally Bitcoin-led chat forums and social media. It was moderately successful, and created the Ripple brand in people's minds as a potential competitor to Bitcoin. Those crypto enthusiasts that initially invested in Bitcoin were rightfully concerned. How should they react? Should they purchase some XRP? What about the fact that a company created the crypto-currency? Should they try to stop what some of the crypto-anarchists in the forums saw as a co-opting of technology that had so far been trumpeted as a way to fight against governmental control? The early crypto-anarchists rationalized unethical behavior. For whatever reason, some bitcoin maximalists - whether based on their political beliefs or based on a protectionist philosophy towards their Bitcoin investment - embarked on a large scale dis-information campaign against Ripple and XRP. 3 Entire web sites were purchased to spread these lies, and it's taken Ripple five years of steady progress and hard work to counter this initial wave of dis-information. Despite the fact that some of the other alternative crypto-currencies are also now championed by US-based companies, none of them are as popular as XRP. Ripple technology is being used in production by banks, 4 and it's looking very likely that XRP will be the first crypto-currency that is used in high-frequency payment settlement by traditionally mainstream fintech and payments processing companies. Naturally, as a fan and investor of XRP, I believed that mainstream adoption would finally quell the misinformation posts from competing coins that attempt to spread lies about XRP or Ripple. "They" are still out there, and it's not just about Ripple or XRP. I've noticed that on various fan-based crypto chat forums, the effort at spreading misinformation about the rivals of your favorite investment is almost regarded as a traditional pastime now, in the crypto space at least. We've got to change this! Mainstream investment in crypto has the potential to benefit all of us - not just XRP or Bitcoin, but all of the crypto choices. However; if traditional investors and fund managers encounter the type of misinformation that young crypto investors are constantly lobbing at each other on forums, it's a definite turn-off and danger signal. This devolving of discourse into bad language, lies, and paranoid sarcasm has to stop. We need to start elevating the conversation. I'm not trying to take away crypto investors' right to free speech. I'm from the United States, one of the most permissive countries when it comes to free speech; I believe that everybody - even those I completely disagree with - should have a voice, and the right to be heard. What I'm trying to do is change the tone. Even in the most vitriolic of political debates, a good moderator will attempt to get the candidates to "stick to the facts," and may even challenge unsubstantiated claims. We need to do the same in crypto. Hear me out: What I'm recommending is based on the behavior that I've seen this company and it's employees exhibit. Why do I say we should support Ripple? This moment in history is pivotal. Tomorrow, Ripple will be announcing more details about the SWELL speaking participants and in October, 6 the first fintech conference to challenge (compliment?) 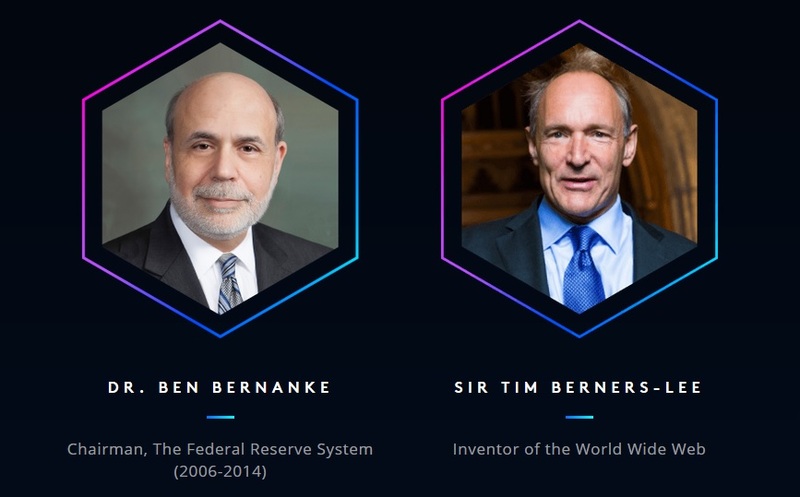 SIBOS is going to take place, giving blockchain tech a chance to shine in the spotlight in a way that it never has - with mainstream banking and financial investment. If Ripple is successful, it won't just be XRP that benefits from this spotlight. Think win-win for crypto. In 2015, Ripple made the tough decision to temporarily shelve Codius (their smart contract software) in favor of devoting more resources to ILP (Interledger Protocol) development. 7, 8 They did this not just to help the XRP Ledger communicate with bank ledgers, but also to help all crypto-currencies and coins communicate with each other and with banks. Any crypto-currency can utilize an ILP plugin for this cross-ledger communication. Just like ILP, bringing banks into the blockchain fold creates new opportunities for other crypto-currencies like smart contract tokens (e.g., ETH, TEZOS, NEO, ETC), and for anonymization tokens (e.g., Dash, Zcash, Monero). There will be additional coverage of new fintech crypto-currency solutions that are too numerous to list here. In short, the SWELL conference will be a win-win for all crypto. Even when fiercely competing with rivals, Ripple leadership and employees stick to the facts. They do not spread misinformation - and they instead rely on probing questions, logic, and the strange, unique ability to persuade rivals to see their point of view. Their calm logic in the face of pervasive misinformation about their own company is something that I've marveled at; and it has served to remind me why I'm investing in a crypto-currency created by a US company subject to the intense scrutiny of the mainstream press and US regulators alike. Ripple has been keeping its own side of the crypto discourse above-board; it's far past time for the leadership of all other rival crypto-currencies to do the same. It's in all of our best interest. I'd like the Bitcoin foundation - and others - to make a commitment to the entire crypto-currency landscape and industry to do the same, in an effort to elevate the tone of discourse and bring cryptomarkets into the sunlight of mainstream adoption.